A River Changes Course. Photo by Mam Kalyanee. The film with its title in Khmer "Kbang Tik Tonle" refers to the importance of water in Cambodians' lives. It means that if one holds a scoop of water, every single drop of the water has to be protected because the river and the water means life to the Cambodian people. Twice a year in Cambodia, the Tonle Sap River changes course, while the river of life flows in a perpetual cycle of death and rebirth, creation and destruction. 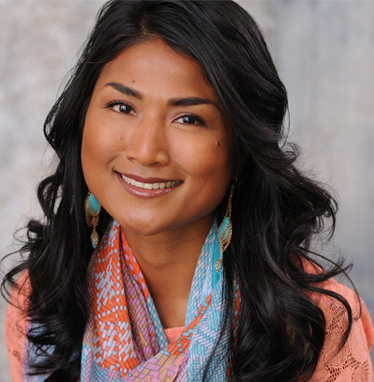 Working in an intimate, verit� style, filmmaker Mam Kalyanee (Director of Photography for the Oscar-winning documentary INSIDE JOB), spent two years following three young Cambodians as they struggled to overcome the crushing effects of deforestation, overfishing, and overwhelming debt. A breath taking and unprecedented journey from the remote, mountainous jungles and floating cities of the Cambodian countryside to the bustling garment factories of modern Phnom Penh, A River Changes Course traces a remarkable and devastatingly beautiful story of a country torn between the rural present and an ominous industrial future. By March 2013, A River Changes Course has been awarded the World Cinema Grand Jury Prize, Best Documentary Feature, and Tops Full Frame Winners: Documentary Studies Filmmaker Award at Sundance Film Festival, Atlanta Film Festival, and Full Frame Documentary Film Festival, in the U.S. Also, the film has been selected to international film festivals in the U.S., Germany, Korea, Australia, and Israel. Among those, A River Changes Course has been selected as a finalist for the Festival Grand Jury Award in Non-Fiction Feature Filmmaking, an annual component of The Los Angeles Asian Pacific Film Festival. During the 60's and early 70's as the war in Vietnam threatened its borders, a new music scene emerged in Cambodia that took Western rock and roll and stood it on its head – creating a sound like no other. But as Cambodian society - young creative musicians in particular - embraced western culture and flourished under its influence, the rest of the country was rapidly moving to war. On the left, Prince Sihanouk joined forces with the Khmer Rouge and rallied the rural population to take up arms against the government that deposed him. On the right, the Cambodian military waged a war that involved a massive aerial bombing campaign on the countryside. In the end, after winning the civil war, the Khmer Rouge turned their deadly focus to the culture of Cambodia. DON'T THINK I'VE FORGOTTEN: CAMBODIA'S LOST ROCK AND ROLL tracks the twists and turns of Cambodian music as it morphs into rock and roll, blossoms, and is nearly destroyed along with the rest of the country. This documentary film provides a new perspective on a country usually associated with only war and genocide. Don't Think I've Forgotten is dedicated to the resiliency of the Cambodian people. I'm leaving Phnom Penh soon after two years working at the ECCC [known as Khmer Rouge Tribunal], and I've started to feel a little emotionally raw lately...the tickets home are booked, friendships and other relationships coming to an end, and I am feeling all the mixed emotions of going home. At the same time, there have been several wonderful cultural events around Phnom Penh to remind me just how lovely this place can be. One of these events was the premiere of "Don't Think I've Forgotten", one of the most lovingly-made documentaries I have ever seen, about the brilliant golden era of Khmer popular music between independence and the Khmer Rouge. It wasn't just people the Khmer Rouge murdered...it was any sense of the beauty of everyday life, of the simple happiness of singing or dancing along to a beat, of losing oneself for a few hours in a cinema. 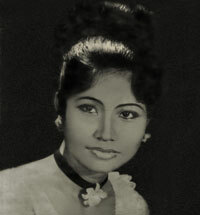 Because the popular culture of a modern and independent Cambodia was killed in its prime between 1975 and 1979, much of today's pop music is often sweetly nostalgic, but it's just as often stunted, with modern musicians simply making Khmer language versions of Lady Gaga or Thai or Vietnamese hits rather than creating something truly Cambodian. I recall the first time I visited New York after the terrorist attacks of 9/11. It was the summer of 2004, during law school, when I lived in the DUMBO neighborhood of Brooklyn. I was not a native New Yorker but when I walked across the Brooklyn Bridge to work in Manhattan I had the sense of a great hole in the city, an empty place where something should be. I am not Cambodian, but here in Phnom Penh I often feel the same sense of loss, of an unidentifiable emptiness...of so much beauty that could have been. People who visit the Tuol Sleng prison and the Killing Fields have very different reactions to the two places, but it's Tuol Sleng that breaks my heart because of the -emptiness-. The mostly empty rooms where people were shackled, beaten, electrocuted, waterboarded...they echo a larger emptiness. The rooms that are not empty contain thousands of photos of people who passed through here and either succumbed to torture in these same rooms or were clubbed to death over a pit at the Killing Fields. Every single one of these photographs represents a hole in the world the size of one human being. The loss of what that human being could have achieved...no matter how simple or humble a life it could have been...is palpable because these pictures look just like the people around me today, only dressed in the joyless black uniform of the regime that murdered them. These memories are raw. These wounds are fresh. That's why I knew when I sat down to watch "Don't Think I've Forgotten" that something magical was about to happen. I was in the Chaktomuk Theater, where the Vietnamese occupation government held a show-trial of the Khmer Rouge in 1979, with the architect who built it ("the father of Khmer modernism") one of the night's guests of honor. Also in the front row were some of the musicians who survived the Khmer Rouge and the last living kin of some of those who didn't, targeted as parasitic elites and puppets of Western imperialism. And all around me, filling every possible space, were people who grew up listening to these songs, some achingly beautiful, others adorably cheeky. They had come here for the joy of remembering and it was an honor for me to sit among them. The film was incredibly informative about Cambodia's history, but the most moving part about the film was its sense of -what survives-, the beauty, the fun, the memory that lives on despite all attempts to obliterate it. This is, after all, what I love so much about Cambodia and Phnom Penh itself. This is a hard place. People struggle. People struggle so very, very hard. But they -survive-. This is why I love and respect this place so very, very much. This is why I worry in these violent days, just like I would worry for my own family. "Don't Think I've Forgotten" ends with a song I had always wondered about. When you visit the Killing Fields at Cheoung Ek, you are given a truly brilliant audio tour that concludes at a memorial stupa stacked 7 layers high with the larger bones of the people who were discarded here. After the last explanation about the stupa, the audio tour leaves you with an a capella song in Khmer. The only words of this song I have ever understood, since I don't speak much Khmer, were "Oh Phnom Penh". "Don't Think I've Forgotten" closed with some extremely rare footage of people coming back to Phnom Penh after the Vietnamese defeated the Khmer Rouge in 1979, the city stumbling back to life, to the sound of "Oh Phnom Penh Euy", finally with English subtitles. I do not think there was a dry eye in the theater, and I finally knew why. I was invited to the premiere by a young Cambodian-American friend who worked on the film, and who honors Cambodia and his ancestors by searching the world to find and conserve their music. Thanks to my friend and to "Don't Think I've Forgotten", I now know what "Oh Phnom Penh Euy" means. It's a love song to this beautiful City, written by someone coming Home (I write Home in English with a capital H because it means so much) after more than three years starving under the Khmer Rouge, having been torn away on April 17, 1975 like everyone else. As a person who is often (voluntarily) far away from Home, it is one of the most profoundly moving songs I have ever heard. "The views expressed herein are those of the author(s) and do not necessarily reflect the views of the United Nations." ■ Song: Oh Phnom Penh! ■ Video: Oh Phnom Penh! 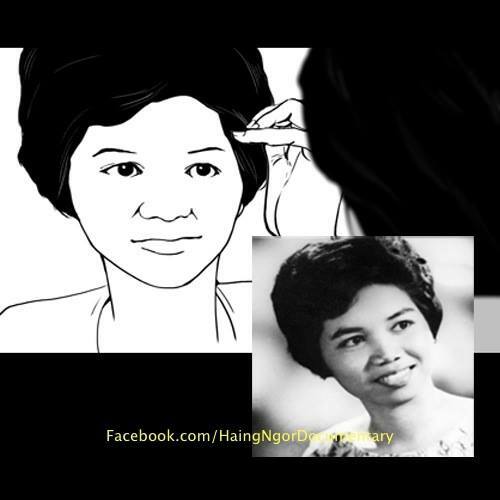 Dr. Haing S. Ngor's wife, Huoy. ■ Documentary on "The Killing Fields" star set for the screen.